The brush is compatible with 9 heads (sold separately) so you can choose the one that fits your skin type better. The brush is a bit overrated. 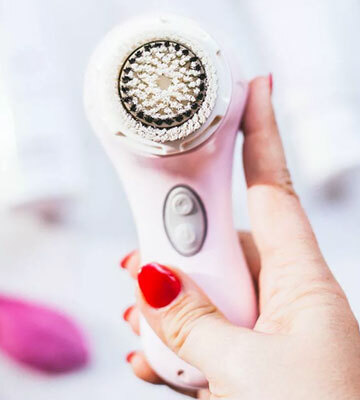 The Clarisonic Mia 2 Facial Brush is a must-have appliance in your skin care kit if you want to forget about face problems forever. 12-hour charge provides 3-week runtime. Auto-off function prolongs the battery life. Some users find the bristles too soft. 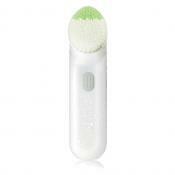 Having this electric brush by MiroPure at hand, taking care of your face and body will become as easy as never before. 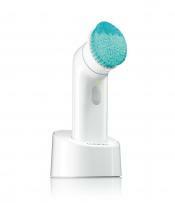 The brush is sold together with AA batteries and an exfoliation cleanser so you can start using it right out of the box. Rotating speed leaves something to be desired. 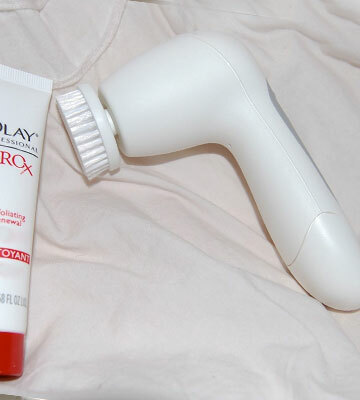 The Olay ProX system is the perfect choice for everyday use. 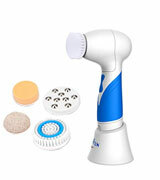 Treat your face with this appliance regularly, and you'll see a difference in your skin texture very soon. The ability to use one of four brush heads gives you a chance to take proper care not only of your face but also of your body. The Essential Skin Solutions brush is a truly universal item to apply to both your face and your body. 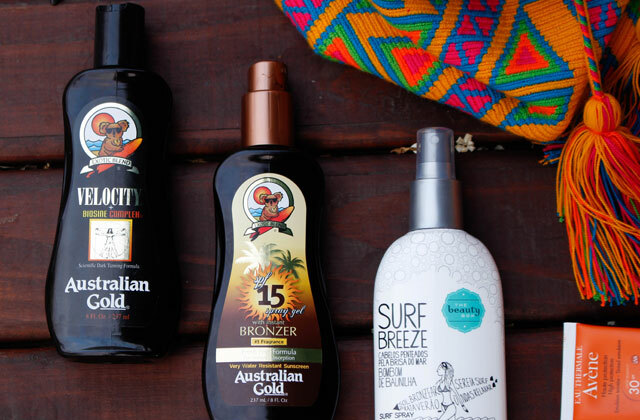 Relieve the beauty of your skin, making it look radiant, young, and healthy. 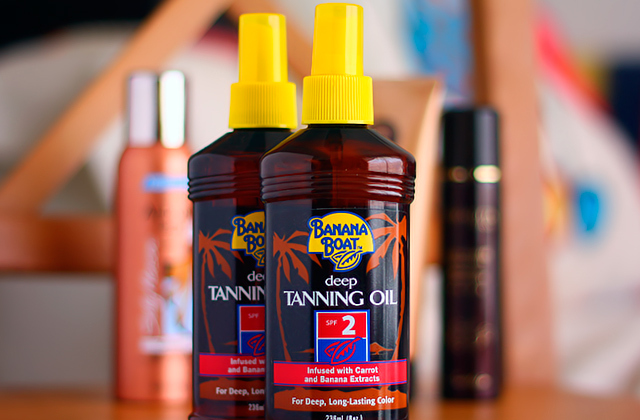 Bi-directional rotation technology guarantees better cleansing effect. 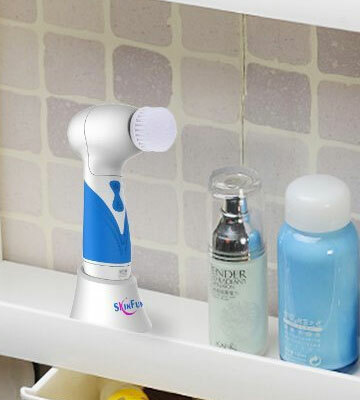 If functionality and reasonable price are your main concerns, the SKINFUN electric brush is a perfect choice for you. 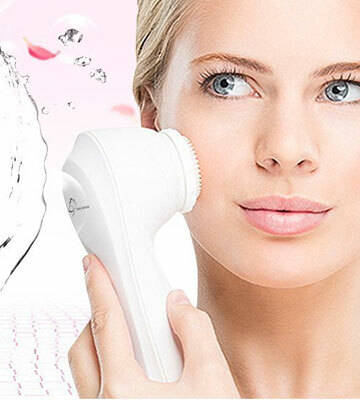 If you’re looking for an electric face brush to handle numerous skin problems or you simply want to provide a proper facial skin care, the Clarisonic Mia 2 is just what you need. 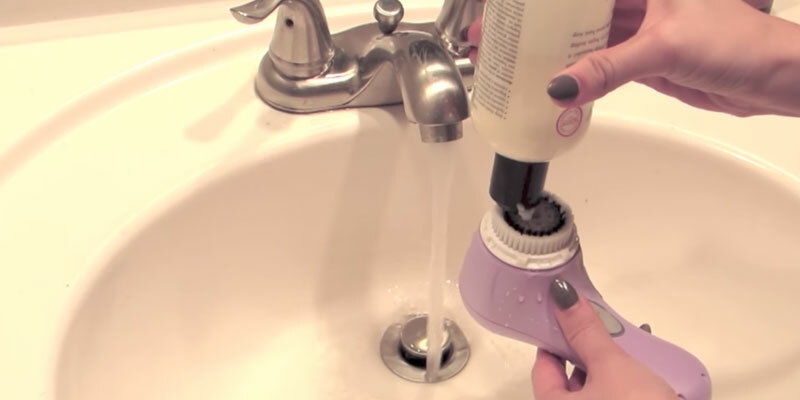 Although the item comes with one brush head only, it can be customized with eight other replacement heads produced by the manufacturer (sold separately) to fit your skin type better. The brush works at 2 speeds, enabling you to choose the desired level of intensity according to whether you want a light massage or deep cleansing, has an ergonomic handle, and user-friendly controls. You will only need to make sure to charge the battery during 24 hours before the first use. 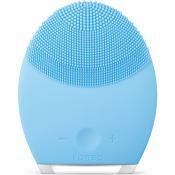 Clarisonic Mia 2: 6 in. MiroPure Electric Vibrating: 7.3 in. Olay ProX Advanced: 6.8 in. 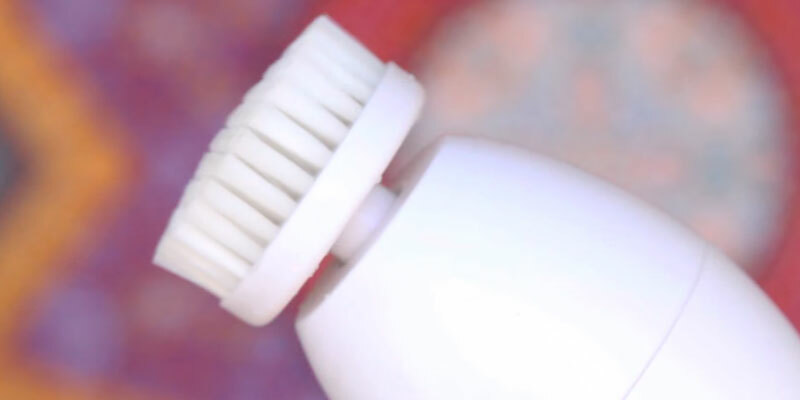 Has a plastic cap to cover the bristles with little air holes so you can dry it with out worrying about anything touching the actual brush. I like the way it works with the auto timer. The battery life on mine lasts me over 2 months and I’ve never had a problem with glitches. The brush is a good size to hold, not too bulky or too small. 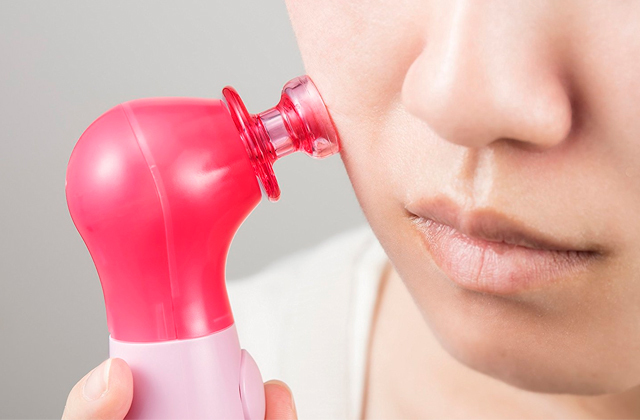 Featuring sonic cleansing technology, the MiroPure brush will narrow pores, remove blackheads and acne marks, and improve the complexity of your face by applying soft back and forth movements over your skin. 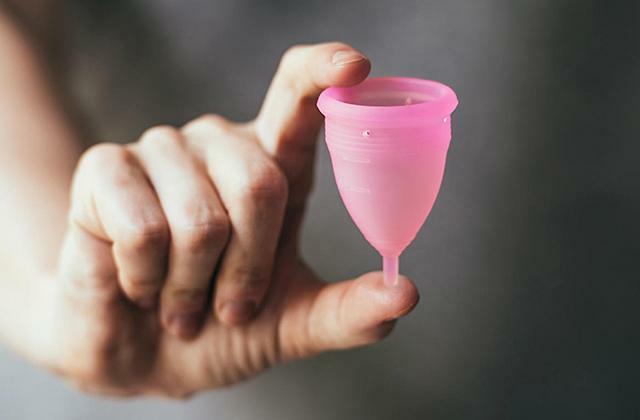 No one can promise an immediate effect, but the results of regular use will impress you. What is more, this brush is also suitable for body care. With two interchangeable attachments and 4 cleansing modes, you’ll be able to treat your neck, shoulders, and even legs. On top of that, a single charge ensures 3 weeks of runtime, so you can take the MiroPure brush with you and look perfect wherever you’re - at home, on a business trip or vacation. 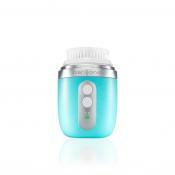 Clarisonic Mia 2: 2.5 in. MiroPure Electric Vibrating: 1.9 in. Olay ProX Advanced: 2.8 in. It's been less than a week and my skin has already cleared up significantly thanks to this little machine! This brush is great for face, if you use it in a proper way you will feel the changes in your skin in less than a week. The bristles are comfortable and the unit is ergonomic and easy to use. The fact that this is rechargeable is a bonus for me because I hate buying batteries. Supplied with an electric brush itself, a brush head, an exfoliation cleanser, and 2 AA batteries, the Olay ProX Cleansing System can be used right out of the box. In addition to such a convenient package, the manufacturer has also done its best to make this appliance high performance and effective. The brush features rotating technology that allows you to remove make-up and dirt effectively in no time. Additionally, the possibility to choose between 2 speed settings allows you to vary intensity, achieving different effect every time. Don’t overlook waterproof properties of the appliance that enable you to use it even in a shower without the fear of damaging it. It's a nice size: a little shorter than my hand and just a bit wider than the width of two fingers. The batteries last forever and I like that it has two speeds. It comes with batteries and an extra head so that's an automatic plus! Taking care of your skin at home is the easiest thing ever with the electric cleansing system by Essential Skin Solutions at hand. 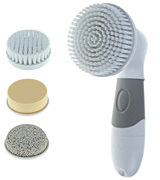 The beauty of this brush is that it can be used for both face and body treatment thanks to 4 attachments included. Why, the appliance even has a callus remover head to help you get rid of dead skin on your feet to make them soft and tender. To start using the device, you only need to insert 4 AA batteries inside and choose the necessary attachment. Although you’ll have to buy the batteries separately, they offer you an opportunity to take the Essential Skin Solutions brush to go if need be. 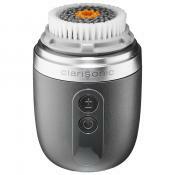 Clarisonic Mia 2: 3 in. MiroPure Electric Vibrating: 2.6 in. Olay ProX Advanced: 5.6 in. The brushes are gentle enough for sensitive skin but yet still make for a great exfoliating experience. 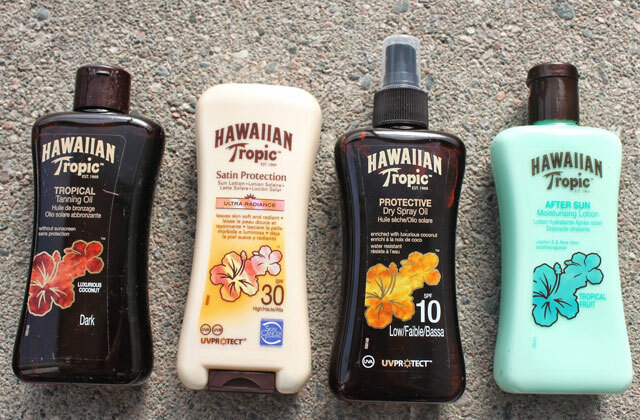 It’s waterproof so you can use it in the shower and you can use. Plus with the use of batteries no need to worry about charging, or over charging to the point where the internal battery will die. The SKINFUN electric brush will definitely come to your liking if you want a high-quality appliance for home use at a reasonable price. 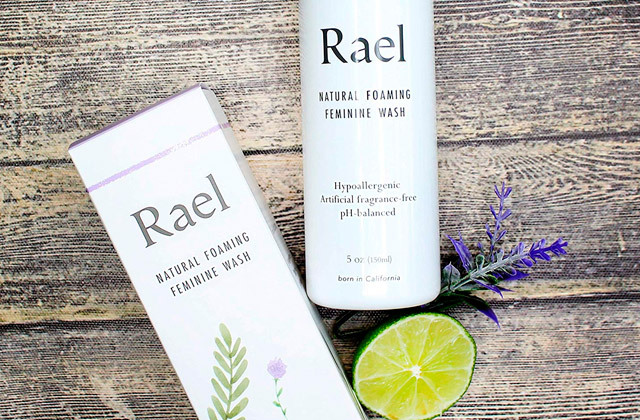 This brush with Bi-directional technology makes the cleansing process not only effective but also fast. Five removable brush heads give you a chance to take proper care of your face as well as your body. And a metal massage attachment is a real catch for you if you need to relax after a difficult working day or intensive workout in a gym. 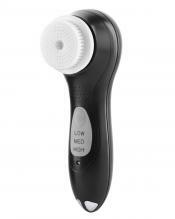 The brush can operate at one of three speeds to provide the best results for your very skin type. The only thing we’d like you to be aware of is that although the manufacturer puts waterproof mark on this item, it doesn’t really operate properly in the moist environment, so keep this in mind when using the brush. It has 5 brush heads for different purposes. The skin cleasing brush and massager is waterproof which I love because you can use it in the shower, 3 different speed frequency. The size is great as well, and I love the stand it sits in. Would definitely recommend. Works great just have your 4 double a batteries purchased and you are ready to go. What is an Electric Face Brush? 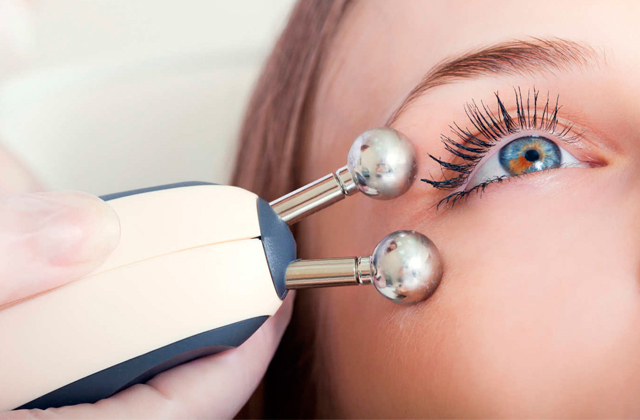 Beauty market offers a great range of tools and appliances that help us look more attractive and stay healthy. An electric face brush is one of them. Like other face brushes it serves various purposes including make-up removal, blackhead, pimple, and acne prevention, skin tone improvement, clogged pores minimization, etc. Then, what's so special about electric brushes for face? 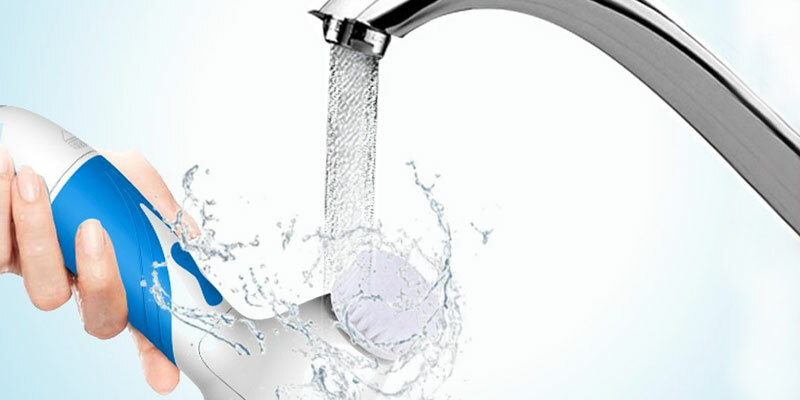 Unlike manual items, the electric brushes do not need users to apply any pressure. The moving bristles will do the job for you. 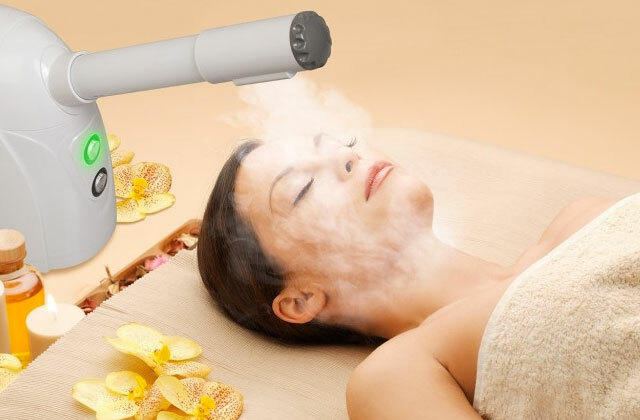 Plus, electric appliances often feature adjustable speed settings and interchangeable attachments, enabling you to choose the best treatment for your skin type. If you want to find out more details about face brushes, check out this review.